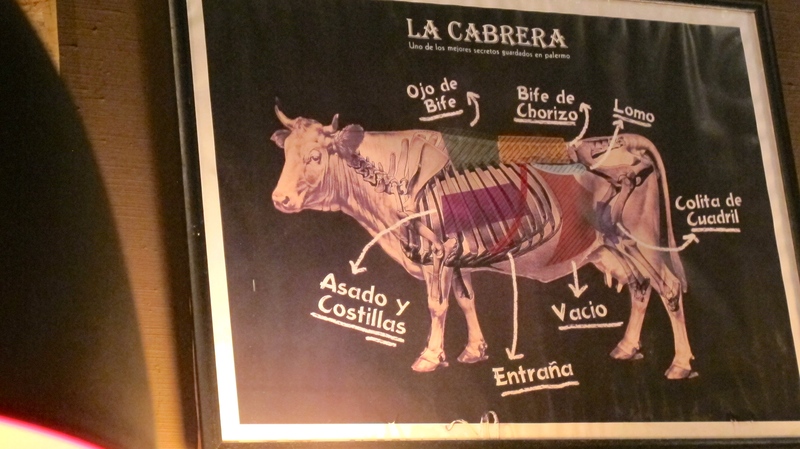 Started by renowned chef Gaston Riveira, La Cabrera is a top-quality parrilla frequented mostly by tourists, but nonetheless authentic and traditional. It’s been featured in the list of top 50 restaurants in Latin America and it’s immense popularity has spawned it to occupy 3 restaurants (almost an entire block) on Jose Antonio Cabrera. 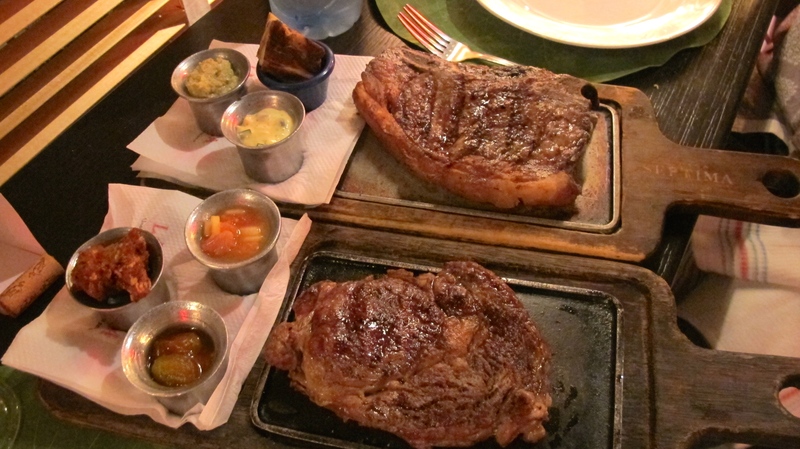 Without happy hours, it can get pretty expensive, with the average price of a steak at about 300 pesos. Naturally, being the deal shark that I am, I was super excited when I found out about La Cabrera’s happy hours. I went with one of my friends and we promptly camped ourselves outside at 6:45, knowing that there would be a line. There was a line. Thankfully, we were in luck and got the last table. They hold happy hours in any one of their three outposts. Today it seemed to have been the smallest one, but what it lacked in size, it made up in character. Very tastefully decorated, La Cabrera manages to distinguish itself from the rest of the parrillas in the city, in food and in style. Since happy hours only last for an hour and a half, service was prompt and quick. We started the evening with a bottle of Malbec (don’t remember the name right now) and ordered a dry aged steak and another Bife de Lomo (tenderloin). Obviously we ordered both medium rare, since that’s the best way to get it cooked. Both the steaks were very good. Not only was the quality of the meat excellent, but they were also very well seasoned, making each bite ooze with flavor. We ended up enjoying the lomo a bit more than the dry-aged. They also came with some great condiments (sweet potato mash, roasted garlic, etc) that really complimented the flavor of the steak. Just for some variety we also ordered a caprese salad. The cheese wasn’t the best but we definitely needed some of those greens. Disclaimer: La Cabrera happy hours vary in quality by a lot. I had a great experience when I went but I have heard a lot of complaints saying people got poor cuts of meat and shoddy service. 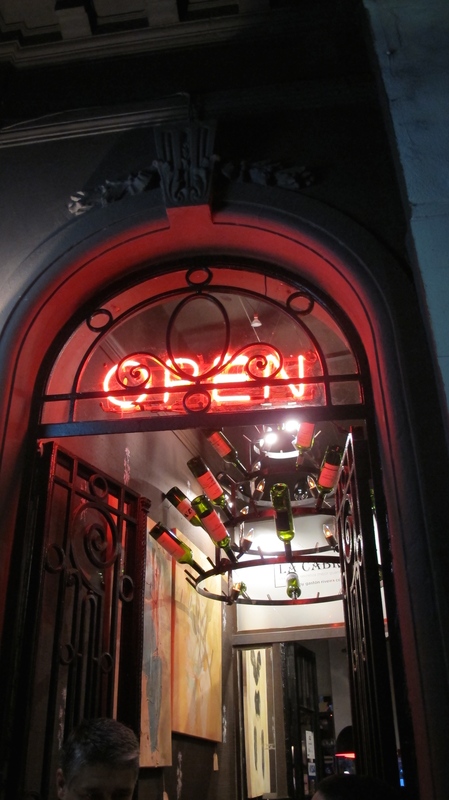 Hi Vivian- enjoying your blog, thanks for the happy hour tip! Most welcome! stay tuned to my blog, and more such tips will be coming your way! Have you eaten at Masa in BA? Not yet! how is it?